Splat Paintball Park is located in Medley, Florida neighboring the cities of Hialeah and Hialeah Gardens. night play. Our Certified PTI (Paintball Training Institute) referee’s are trained to promote fun, fair play and safety. The staging area is covered by ceiling fanned shelter with tables, marker racks and cleaning stations for you to relax and get ready for your next game or watch the action. A high tech shooting gallery lets new players become comfortable with their marker and the more experience player practice strolling the trigger, and a 1 on 1 shooting range for you to practice your snap shooting drills. Our Indoor complex offers a fully equipped Pro Shop with the newest and hottest products. 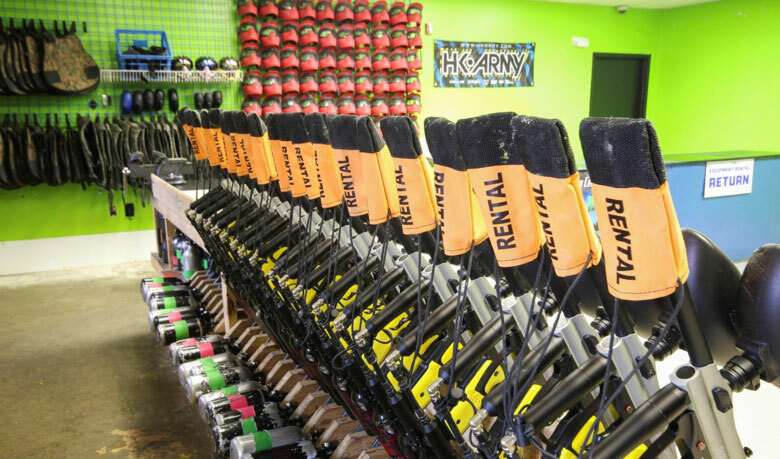 Our staff consist of a full time Master Airsmith certified by PTI to handle all your paintball equipment needs. Inside you will also find a Snack Bar with tables and big screen TV for you to sit back relax and enjoy the latest paint- ball videos. Air-conditioned Private Party/Conference room and clean restroom facilities. We are dedicated to make every effort for you and your friends to enjoy the most fun, safe and exciting experience possible.